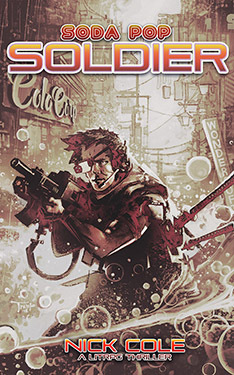 Call of Duty meets Diablo in this fast-paced, action-packed LitRPG novel from the author of GALAXY’S EDGE. But times are tough and the rent is due, and when players need extra dough, there’s always the Black, an illegal open source tournament where the sick and twisted desires of the future are given free rein in the Wastehavens, a gothic dungeon fantasy world. This is for a copy of the Castalia House paperback SIGNED by author Nick Cole. We will email to confirm your current mailing address as well as the wording of any inscription you would like to request. Signed author copies are presently available for U.S. residents only. Price includes shipping by U.S. Mail.